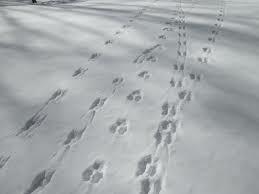 Join Willow Bend and the Arboretum at Flagstaff for our Annual “Basic Wildlife Tracking” workshop. Lynne Nemeth, Executive Director of the Arboretum at Flagstaff, will teach participants about basic animal tracking through a fun hands-on presentation and guided hike around Sawmill Park, the Rio de Flags and the FUTS trail below Willow Bend (weather permitting). Workshop is open to all but designed for adults and children ages 10 and over. Secure your spot by signing up online or calling our office (928) 779-1745.